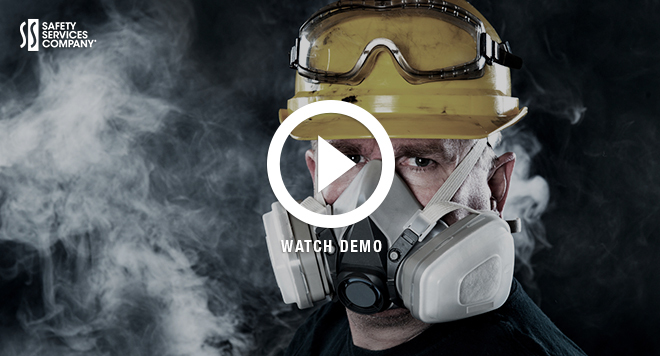 Exposure to airborne hazardous materials at work is always dangerous. Employers are responsible for informing workers of these hazards, taking actions to minimize them, and providing them with the necessary personal protective equipment safety meeting topics (PPE) to keep them safe. When employees are exposed to dust, chemicals, or other contaminants, that can’t be otherwise controlled, they will need to wear some level of respiratory protection. The level of protection required depends on three factors, the type of material workers are exposed to, the level of the exposure, and the frequency or duration of the exposure. The protection of workers from injury and illness caused by breathing hazardous dusts, fogs, fumes, mists, gases, smokes, sprays, or vapors is mandated by OSHA respiratory regulations (CFR 1910.134 and CFR 1926.103). These regulations require companies to provide respirators and training to employees who are exposed to airborne hazards that exceed the established Permissible Exposure Limits (PEL). The regulations also require employers to have a written respiratory program that includes site-specific hazards, procedures for respiratory testing and fitting, as well as the types of protection available. Complying with these regulations creates some serious concerns for companies; either invest the time and resources to research, develop, and deliver a Respiratory training program internally, or to hire a consultant to provide it for you. We here at Safety Services we have developed a “Do-It-Yourself” Respiratory training program that is both simple to administer and fulfills all your OSHA requirements. This innovative kit features an Interactive Training Program, Student’s Handbook, Instructors Handbook, Student Tests, Training Logs, Certificates, Wallet Cards and More. Our Respiratory training kit is a simple three-step solution that protects your employees and keeps your company in compliance. 2. Field training – The second step of training is in the field. During this part of the training, your appointed trainer demonstrates to the students the proper care and use of the respirators they may be required to wear, and how to protect themselves in the workplace. The material provided in our Respirator training program meets all OSHA safety training requirements, and allows your trainer to deliver the required training quickly, easily, and consistently. If you have any questions, or are ready to order your Respirator training program, give us a call at 1(888)461-5023.